Box of 3 Spring Socks, knitted in Wales of 75% cotton/25% nylon. 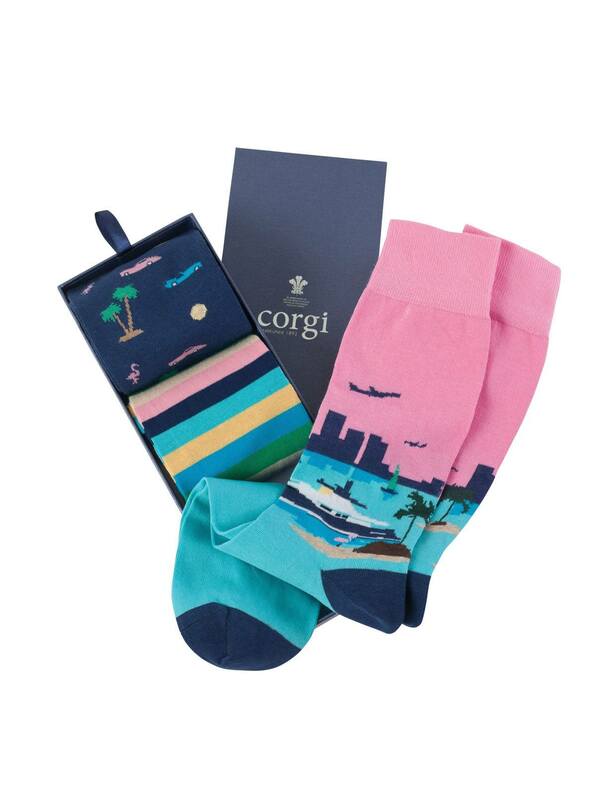 Each box contains navy palm/cars/flamingos, city harbor, 7-color stripes. Medium fits shoe sizes 8 to 9 Large fits 10 to 11 Extra-large 11 to 13.